Chrisinti is ready again with a new single. 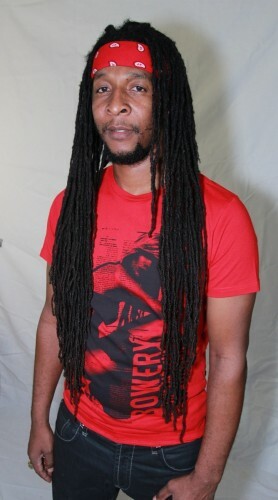 “Real Warrior” is his second major single for 2012, following the tremendous success of “36 Bullets,” which is still going strong in Jamaica’s Richie B Charts as well as the BBC Reggae Charts and the New York Reggae Charts, to name a few. “Real Warrior” was produced by Splicer Ras for his label Hotheadkulcha and Chrisinti hopes his fans around the world will enjoy his new song. “Real Warrior” is the latest production Chrisinti will add to his impressive repertoire of outstanding reggae music which he will perform for his fans on various upcoming shows this year, as he returns to the stage with a full 100% dedication and love for reggae music. For more Chrisinti music, interviews and any other information please feel free to contact me any time.